Dr. Adleberg received his medical degree from Hahnemann University School of Medicine, Philadelphia, PA in 1990. He graduated from a three year Ophthalmic Residency at Temple University Hospital, Philadelphia, PA. In addition to his ophthalmic residency training, he completed his fellowship training in two subspecialties of ophthalmology. He completed Ophthalmic Pathology at the University of Utah Health Science Center in Salt Lake City, Utah. Subsequently, he went on to graduate from a medical and surgical Vitreoretinal Fellowship at Tulane University Medical Center, Charity Hospital and the Veterans Administration Hospital, in New Orleans, LA. Since 1997 he has cared for patients with Retinal diseases in Hampton Roads. In 2002, he established Hampton Roads Retina Center in Chesapeake, Virginia to provide specialized retinal care and improved access to our community. We care for a myriad of diseases that affect the eye. The most common of which are: Diabetic Eye Disease and Age- Related Macular Degeneration. 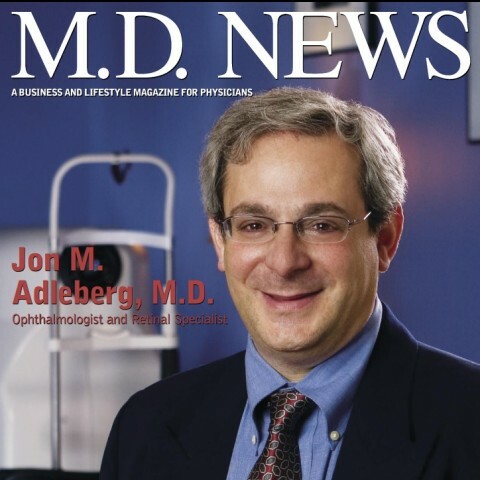 Click here to read an article where Dr. Adleberg’s practice is profiled in M.D. News magazine.